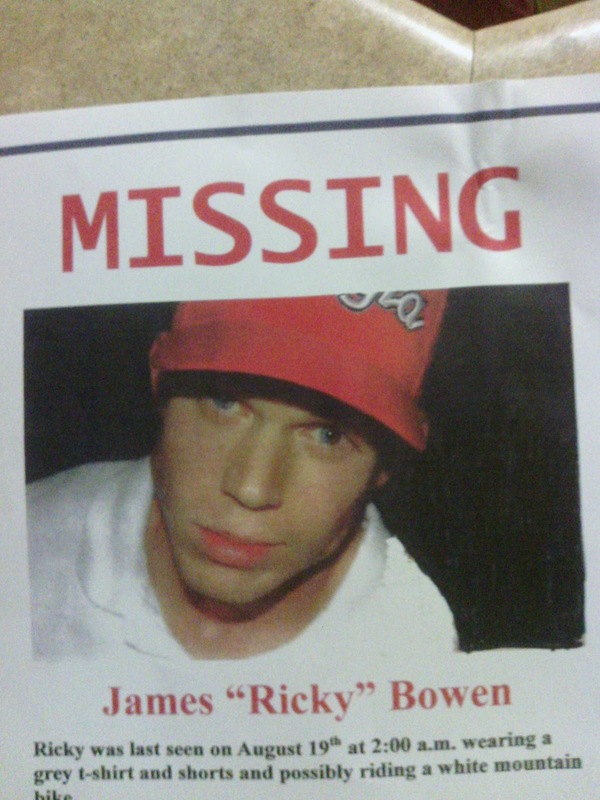 “James Bowen (aka Ricky), was last seen on August 19th at 10 p.m. wearing a grey t-shirt and shorts. He was possible riding his bike back to a local pool hall in Lawrenceville, Ga. He is 30 years of age with short brown hair. He has one blue eye and one blue/brown eye. He is 6’0 feet tall and roughly 190 pounds.